Astro-Vision Futuretech Pvt. Ltd. offers highly personalized content and services that require Birth Data (including Date of Birth, Time of Birth and Place of Birth) of the members. The public (visitors, other members, or anyone not employed by Astro-Vision Futuretech Pvt. Ltd. or the financial institutions used to process membership charges) cannot use the information we gather to identify specific individuals. Further, in order to facilitate commerce, we collect credit card information, member\'s address, or bank information only from those who choose to benefit from personalized services offered by Astro- Vision Futuretech Pvt. Ltd.
Server logs capture certain non Personally Identifying data, such as the time and date of a App visit, the operating system being used, the IP address or domain name of the user's ISP, etc. This information is generally used to help us plan system enhancements when necessary and to provide content which is compatible with our visitor's App operating systems. We do not use server logs in any way that may disclose your PII. We will not sell or rent your personally identifiable information to anyone. We will send personally identifiable information about you to other companies or people only when: We have your consent to share the information We need to share your information to provide the product or service you have requested We need to send the information to companies who work on behalf of us to provide a product or service to you. (Unless we tell you differently, these companies do not have any right to use the personally identifiable information we provide to them beyond what is necessary to assist us.) We respond to court orders or legal process or We find that your actions on our app violate any of our usage guidelines for specific products or services. If you provide Astro-Vision Futuretech Pvt. Ltd. with an email address that will result in any emails or SMS messages from Astro-Vision Futuretech Pvt. Ltd. being sent to you via a computer network or telephone operated or owned by a third party (e.g. your employer or your institution) then you warrant that you are entitled to receive those messages. You also agree that Astro-Vision Futuretech Pvt. Ltd. may refrain from sending messages to you without notifying you, even if you have subscribed to receive them, if we receive a request from a third party to stop sending emails or SMS messages to you. We maintain physical, electronic and procedural safeguards to protect your personal information. While no data transmission over the Internet is 100% secure from intrusion, we have used and will continue to use diligent efforts to ensure the protection of your personal information. 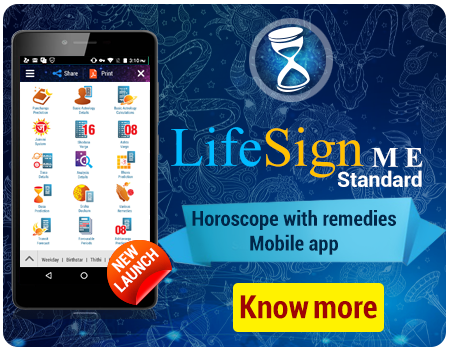 This mobile astrology software includes Horoscope Matching,Prasna, Muhurtha and lots more. Available in Android and Java. 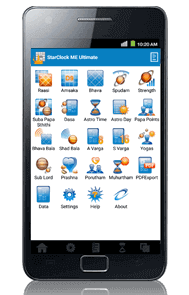 StarClock ME Ultimate® is the most advanced mobile astrology software for Android. 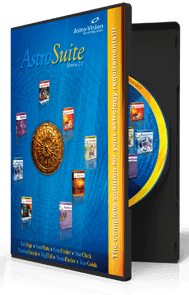 Includes Horoscope Matching, Prasna, Muhurtha, Real Time Planetary Positions and lots more.